SKF NOTE: Nice idea, tribute. 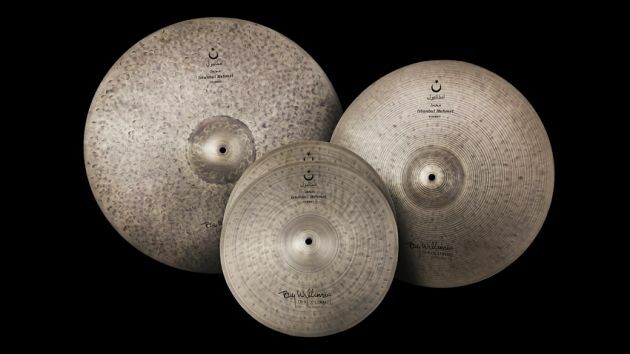 NAMM 2015: Turkish cymbal maker Istanbul has announced an exciting new line, crafted in tribute to legendary drummer Tony Williams, created as faithful replicas of the now iconic cymbals made famous by Tony on the recordings of the ’60s era Miles Davis Quintet. These exclusive new cymbals will be made available initially as limited edition numbered sets. Istanbul was granted exclusive access to the very same cymbals, made in Istanbul in the late ’50s, …used by Tony Williams on the Miles Davis Quintet’s historic recordings. These cymbals were given to Tony by…Max Roach. Colleen Williams, Tony’s wife, hand carried the precious cymbals to Turkey where the master artisans meticulously measured, weighed, gauged and recorded every facet of them. Tony Williams Tribute Cymbal Limited Edition sets feature 22” ride, 18” crash and 14” hi-hats together with a deluxe leather cymbal bag, a selection of rare Tony Williams photographs and a certificate of authenticity. This entry was posted in Drum/Music News and tagged Drummer, DW Drums, Gretsch, Istanbul, Scott K Fish, Tony Williams. Bookmark the permalink.